TEMA Process B.V. offers Dust Collection & Gas Scrubbing equipment and systems for emission control, gas cleaning and product recovery. 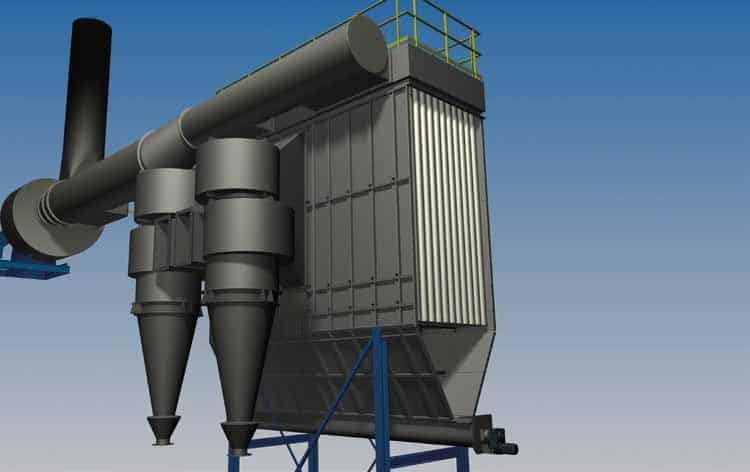 TEMA Process designs the Dust Collection & Gas Scrubbing equipment and systems in accordance to the latest standards, local conditions and product specifications. 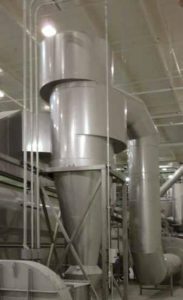 TEMA Process design for continuous Jet bag Filters is based on the process data and local conditions and can be offered “Taylor-made” suitable for the application. 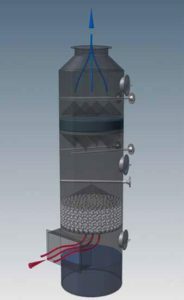 Venturi scrubbers are used to remove particulate matter from a gas stream. 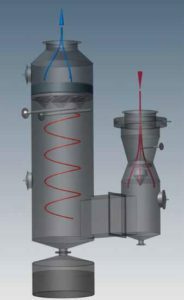 A „Venturi Scrubber“ consist of a contact section called a venturi section in combination with a droplet separator section. 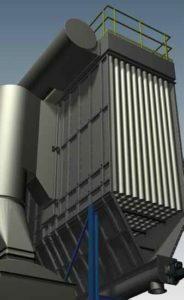 Packed tower scrubbers are used to remove particulate and / or vapor contaminants from an exhaust gas stream by way of dilution or absorption.